An American classic in picnic baskets! 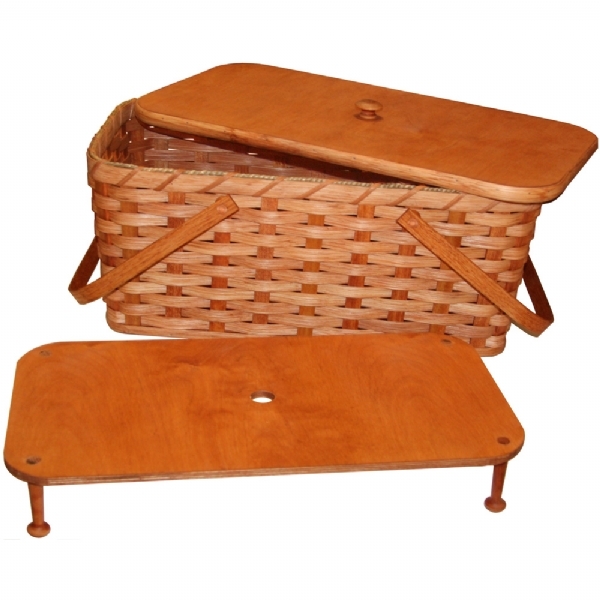 This extra large rectangular picnic basket comes with a wooden pie divider shelf and wood swing away double carrier handles. Place your food, perishables, or homemade pies in the bottom of the basket and secure them in place with the wooden divider on top. The basket is so roomy that there will be plenty of room still left, in the top half for more food and picnic supplies. We love how you can use the wooden pie divider as a table for your picnic spread. Support our local craftsman with your purchase of this authentic and classic basket!